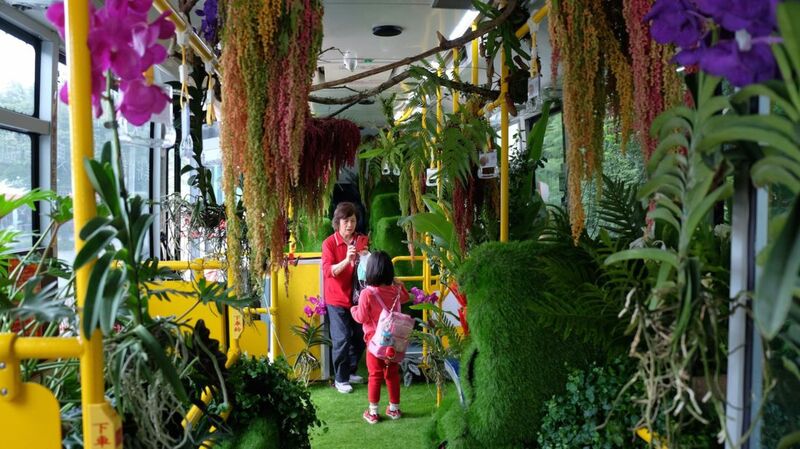 A florist from Taipei, Taiwan, has achieved the impossible: He’s found a way to make riding the bus through a crowded city a pleasant experience. All he had to do was drape the vehicle’s interior in carpets of moss and curtains of flowers. The Agence-France Presse reports that the “forest bus” offered toll-free rides to commuters in Taipei for one week only. The bus ferried passengers to an art museum, a popular temple, and a night market, but the fairy tale environment made it hard to step off.